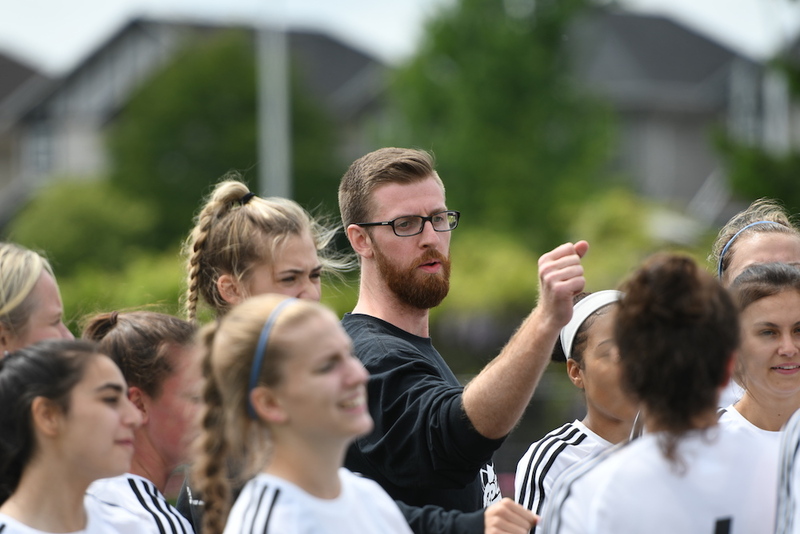 SURREY — When it comes to the senior varsity girls athletic program at PoCo’s Riverside Secondary, basketball and volleyball have had their fair share of the spotlight at provincial championship tournaments. Beginning next week at UBC, you can add soccer to that list. “It’s our first time ever and it’s been pretty surreal,” said Rapids coach Kenny Jamieson late last week. Riverside carried the drama right through to the 11th hour last Thursday, fashioning a 2-0 win over Surrey’s Enver Creek Cougars to secure the Fraser Valley’s seventh-and-final berth to the B.C. Sweet 16. The match, played last Thursday at Cloverdale Athletic Park, had all the makings of just one of those affairs. Yet centre-mid Brooklyn Macdonald, one of three Rapids who has played four straight seasons with the senior varsity, potted both of her team’s goals. The Rapids have leaned on their veteran chemistry throughout what has been a tooth-and-nail season within the Fraser Valley, the zone which has produced a dozen teams at the top end who are fairly even in terms of overall talent. Macdonald, Lauren Watson and Asia Avramovic have all been senior varsity Rapids since the ninth grade and five other seniors have played since their Grade 10 seasons. 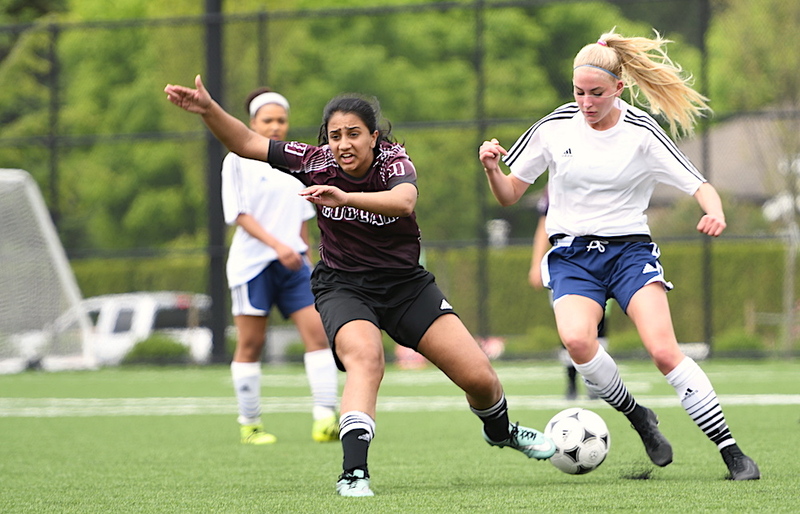 Riverside’s signature win was a 1-0 blanking of rival Centennial Centaurs just as the Coquitlam school had moved into B.C.’s No. 1 spot in the rankings. The Centaurs came back to beat Riverside later in the season and last Thursday went to penalty kicks to beat South Delta 3-2 in the Fraser Valley AAA title match. 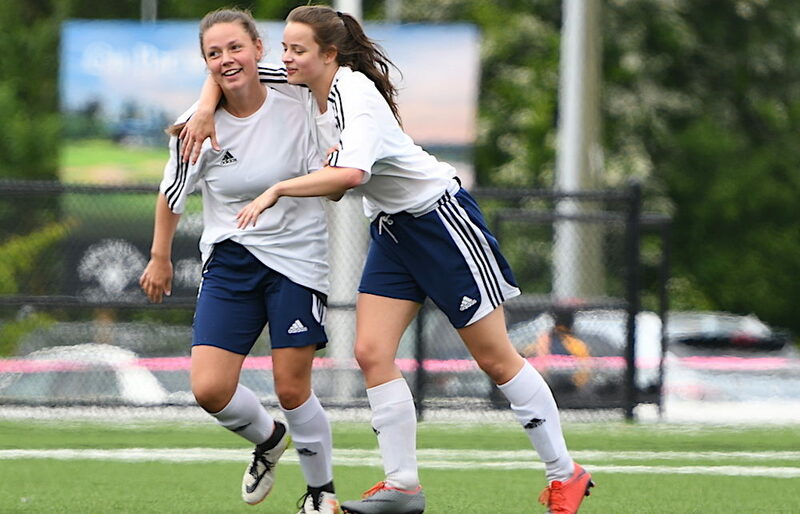 “It is one of those years where on any give day…” begins Jamieson, whose girls were forced to play sudden-elimination soccer after losing a tight 1-0 decision to Chilliwack’s Sardis Falcons, the team ranked No. 1 longer than any other this year, in their previous match.